A new law in the state of New York will allow sealed records for past convictions. Applicants will have several criteria to meet, but if the seal is approved, they will gain several benefits. The first thing to know is that only certain types of past convictions will be eligible for record sealing. Any violent crimes or Class A felonies are ineligible. This includes certain assault, robbery, and weapon possession charges, as well as a variety of convictions for sexual crimes. A minimum of 10 years must have passed since the conviction or prison release. No criminal charges can be pending or current. No other criminal convictions can have occurred. Additionally, a limit exists on the number of sealed records you can have. One felony conviction (or up to two eligible convictions total) may be sealed. However, if more than one conviction arose from a single incident, all of those convictions will be treated as a single conviction. To seal a record, an attorney must prepare the application along with several other documents. These documents will support arguments for sealing the record. Once the documents are ready, they are filed with the District Attorney’s office. The District Attorney may file a consent or objection with the judge within 45 days. Then the judge reviews the application and the District Attorney’s recommendation within the sealed record standards. Some states expunge records, but New York does not. 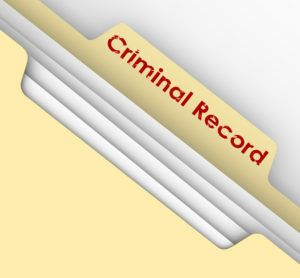 An expunged record erases all legal evidence of a crime, thereby eliminating a crime from the legal books. A sealed record does not erase a criminal record. What Are the Benefits of a Sealed Record in NY? Without a sealed record, anyone can view a New York court file as a matter of public record. The police retain access to all the material related to the arrest, including photos, fingerprints, and DNA samples. With a sealed record, though, only certain people have access to the file. This includes the defendant or an agent, such as their attorney. Employers may have access to the file if the job requires you to carry a firearm. And parole officers, police, or a prosecuting attorney may have access to the file – but only under strict provisions. To learn more about sealed records, contact us for a free phone consultation. Beginning October 7th, 2017, a new sealing law went into effect in New York state…. Can I Get Back My Right to Own a Firearm after Conviction in NY? How Long Does It Take to Get a Certificate of Relief from Disabilities in NY? Can I Get My New York Probation Terminated Early?